Are Voice Designers the Healthcare Professionals of the Future? After a patient’s last visit to the physician’s office, did the patient receive a follow-up call? And if so, was the call from a human? Move over Alexa and Siri – conversational interactions are an emerging healthcare tool. And this tool is growing more popular and intelligent than ever. The healthcare industry is on the cutting edge of VUI (voice-user interface) design and making great progress to improve patient care through developing technologies, literally transforming the voice of the industry. The advantages of VUI extend far beyond simple conveniences for patients or a healthcare employee’s saved phone call. VUI has a profound impact on care improvement. Just like a person, a well-designed VUI can use tone of voice, inflection and other elements in conversation to shape behaviors or calm nerves. 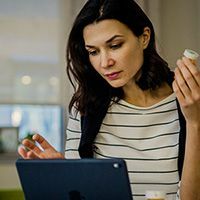 With VUI, physicians and patients become empowered to make informed decisions about healthcare. These are not cringe-worthy robo calls. Interactive phone calls today enable hospitals, health practices, and insurance companies to reach out to their entire patient population or a select group automatically instead of staff members’ having to make individual phone calls. VUI design plays a number of roles in healthcare processes, including prompting patients to schedule appointments, helping them prepare for procedures, standardizing care information provided before or after treatment, and asking questions during the care process. Those real-time insights into patient wellness lead to improved, personalized care. For patients, the greatest benefit of VUI is its potential to shape patient behavior and promote better health practices. The ultimate goals are providing the most “human” experience and a engaging patients outside of the hospitals or doctor’s office by using technology. So, how does it work? VUI is far more complex than merely recording a few responses. VUI designers start with the end objective in mind, such as motivating someone in a smoking cessation program, and then map out numerous responses for each state of patient interaction. More complex conditions, such as diabetes, can include more than 1 million possible conversation flows, providing patients with personalized content and support specific to their needs and based on a variety of variables such as their individual care plan, progress, interests and time of the year. In fact, each conversation flow is carefully crafted to show what a conversation could look like over time. Conversation flows also incorporate virtual memory so that the program will know what to tell a patient the next time a conversation takes place rather than starting all over. For example, if in a previous interaction a patient talked about not feeling well, then the VUI solution, based on the former response trajectory, would ask in the next conversation whether the patient is feeling better. Stored information forms the basis for all future conversations. Two aspects of voice design that set VUI apart from chatbots of the past are the complexity and humanness of the responses that can be crafted. Voice designers think about the texture and rhythm of the words to ensure patients have a more “human” interaction. The creation process begins with a provider or payer client that approaches Emmi Solutions program developers with a particular need, such as closing the gap in care or bringing patients in for particular screenings. Voice designers then look at the workflow and goal of the project, and they begin drafting a script similar to a theater script with dialogue, patient responses, and call content. Designers identify various directions the conversation could go, and decision trees and word choices. Once the script is mapped out in various paths, it is shared with a developer who builds code to piece together a designated call. Finally, an actor records the responses, and a tone is chosen that best suits the project. For example, the tone of a call used for smoking cessation to encourage people to stop smoking might be different from a tone that is trying to schedule a patient’s colonoscopy. Once the conversation pieces have been recorded and the chain tested, the VUI is ready for use. With VUI, healthcare providers make the best use of their time and resources, while still ensuring patients receive optimal care. Such attentive and thorough patient care using artificial human responses represents a new horizon of healthcare. Learn more about how Wolters Kluwer is transforming the patient-clinician relationship. Read our latest blog on the future of VUI. Recent research shines a spotlight on the value and subsequent impact of preparatory engagement with patients, prior to undergoing procedures. 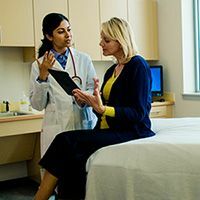 Variations in how clinical care is delivered is one of the biggest plagues of the industry, and negatively impacts the efficacy, quality, and delivery of care: three key performance measures associated with a value-based healthcare system.